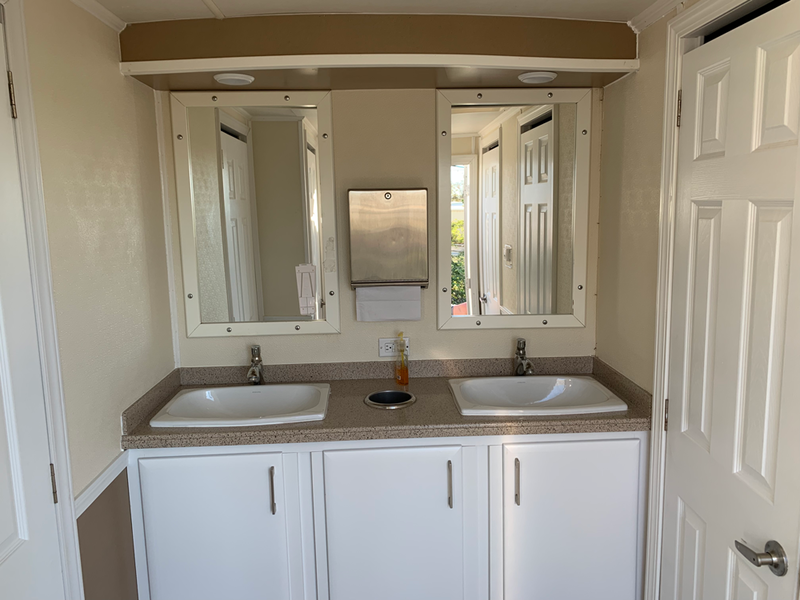 All restroom trailers are standard with bright, white exterior fiberglass finish which give the portable restrooms a clean and crisp look in any location. 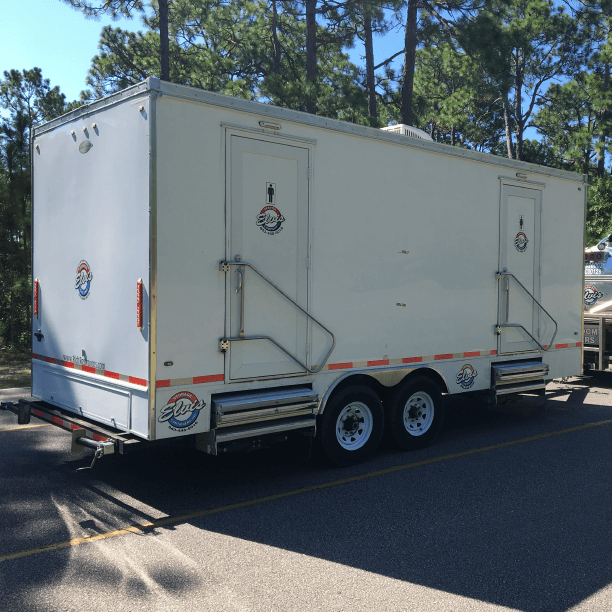 This dent proof exterior provides for a strong and durable exterior finish that can allow for private company graphics or paint. The wide entrance staircases have a platform at the door and are constructed of heavy grade solid steel. 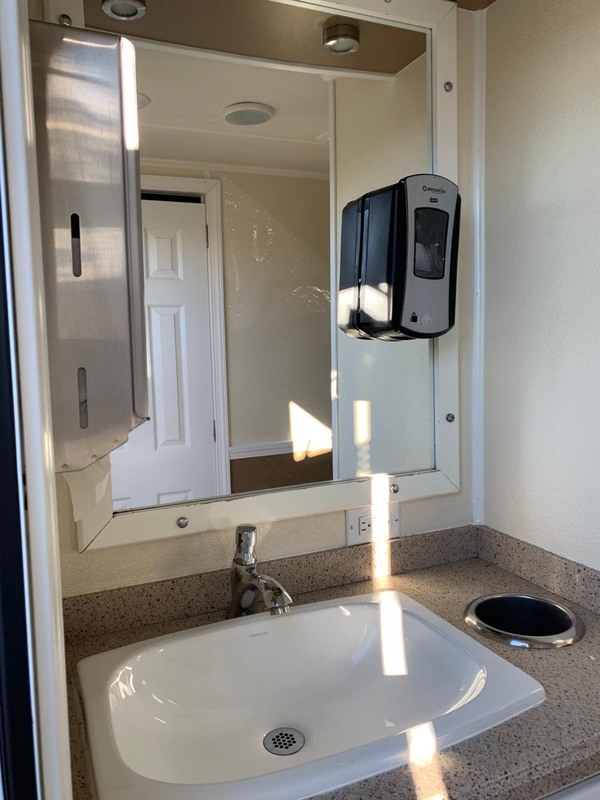 Every entrance door is also equipped with stainless steel hand rail that easily swings into position for customer convenience and safety. Non bulb LED exterior lighting is located near the steps to provide light during the evening hours. 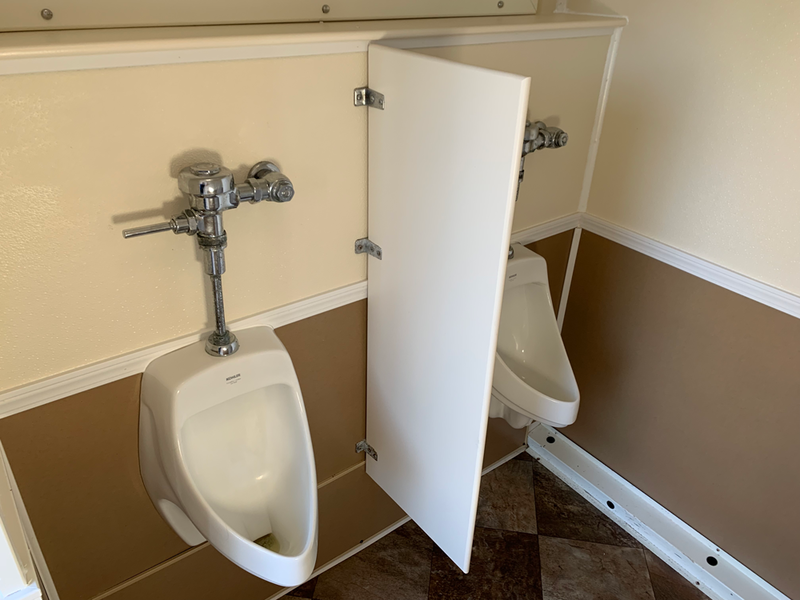 Each door of these restroom trailers has self closing arm and a hand pull. 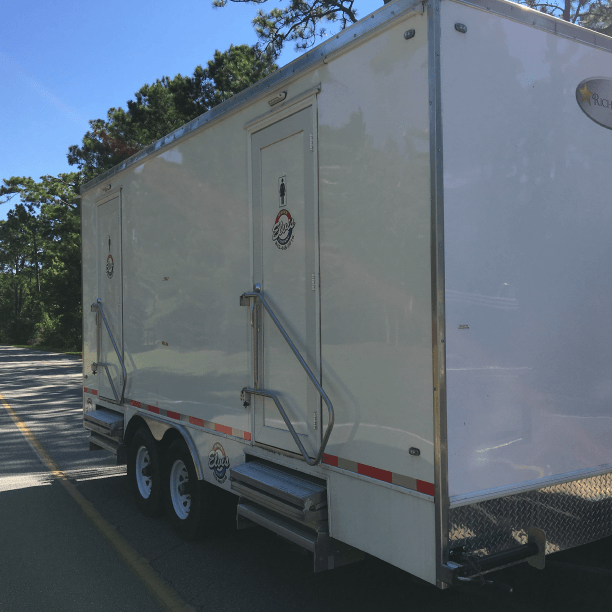 This trailer comes with a 680 gallon waste holding tank, maximum 8 occupancy, and is 8′ wide X 19′ long. 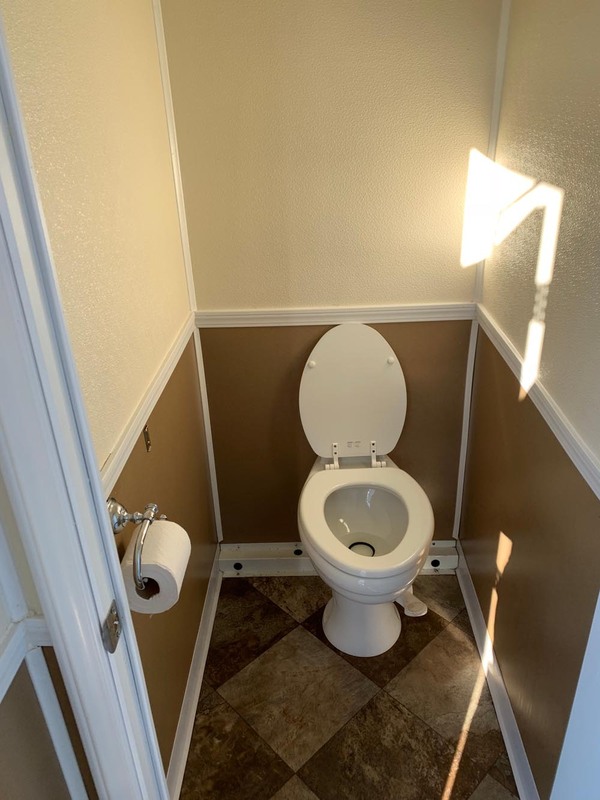 It is perfect for larger weddings or events, and comes equipped with air conditioning, flushing toilets, radio/cd player/aux input. 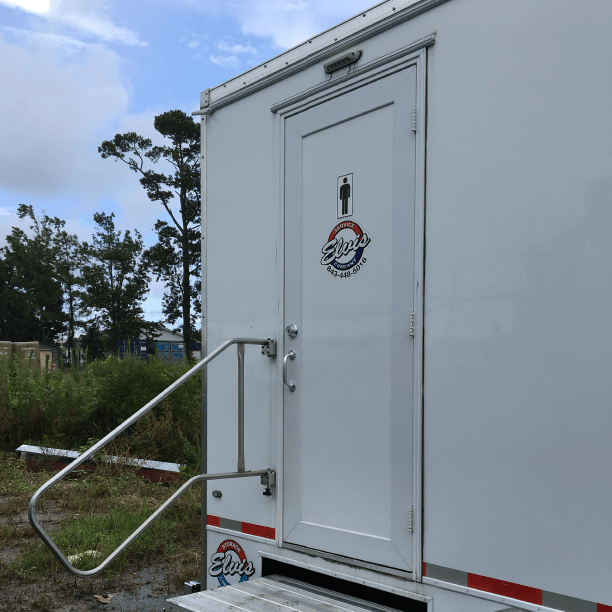 This portable restroom trailer comfort stations makes any guest feel like they are in the comforts of home.